Like many of you out there, doing laundry in our home is an endless job. Having 3 small children who go from school uniform -to- play clothes -to- sports uniforms -to- “oh, my shirt is wet & I need a new one” -to- jammies…and REPEAT over & over again…. can create lots & lots of laundry. There are many blogs with similar recipes and they are all pretty much the same (Soap, Borax, Washing Soap). Some are in liquid form & others are powder. I prefer the powder for the pure fact there is no sticky mess in my laundry room caused by liquid detergent. I first found this recipe a year ago on Yellow Brick Home via Pinterest. I waited until now to post it because I wanted to make sure if was GOOD! Here I am, a year later and still using the same recipe. It is GOOD! REALLY GOOD! 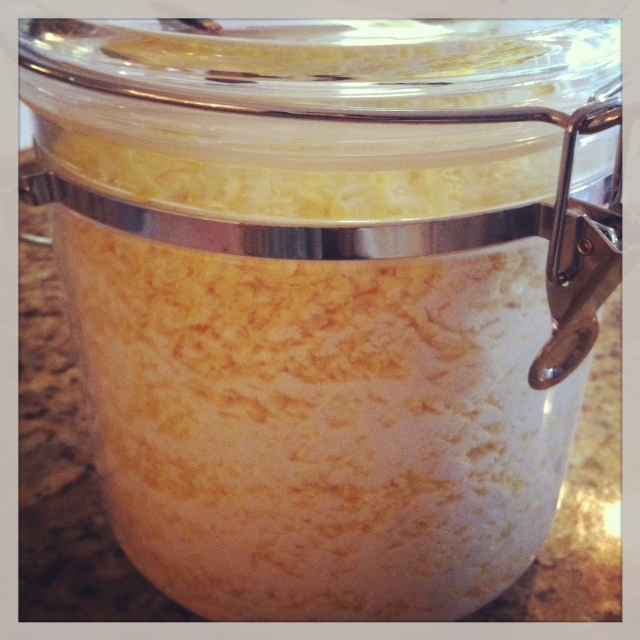 Grate the Fels Naptha (I use the grating tool on my food processor) and mix together with 1 cup Borax & 1 cup washing soap. Use 1 Tablespoon per washer load (I use an old coffee grind scoop). This 1 batch will last my family of 5 for 1 1/2 months. 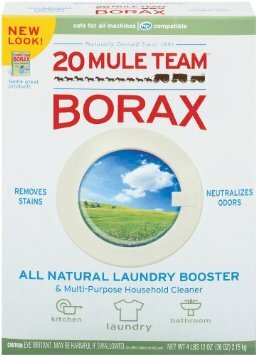 Using the large quantities I purchased on Amazon, I ended up paying about $30 for 6 batches = 7 1/2 months of Laundry Detergent + left over Borax (2 cups) and Fels Naptha (19 bars). I personally think this is AMAZING!!! 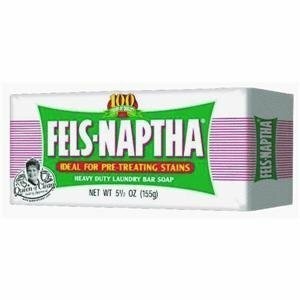 Now the Fels Naptha has a strong smell to it, but it becomes scent free after your washing cycle. I then use a fabric softener sheet in the dryer to make our clothes smelling nice & fresh. 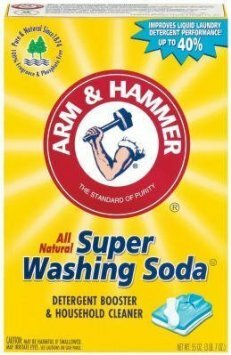 Other websites will say you can use other bar soaps (I remember DOVE being mentioned), but I’ve never tried it and cannot comment whether it works or not, or if it will/will not leave a soap film on your clothing. **** UPDATE: It’s been 6 months and I have finally used up the last of my detergent. That means 6 batches of the above recipe, which cost about $30.00, lasted 6 months in my household of 5 (2 adults & 3 kids ages 3-8 years old).